It’s fair to say the corporate world loves an acronym. The average person does not. The automotive industry has plenty of them, especially when it comes to vehicle braking systems and there’s a good reason why. There’s ABS, ESP, ESC, and more. One of the early ones was ABS. This was something that the industry latched onto and proudly trumpeted that “Car XYZ has ABS!” So? The cool thing is that all of these acronyms are actually really simple to understand once you know what they stand for. ABS is Anti-lock Braking System. Before ABS arrived there were two kinds of braking styles. Most of the time it was hard on the brake pedal and one or two long black smoky trails. The potential for a vehicle impacting something was high. Or there was the canny driver that would “feather” the pedal and raise and lower the braking foot to not lock up the brakes. ABS does the same thing. Computer controlled sensors will have the brake pads grip and release the brake discs, slowing forward progress but not stopping the whole wheel from rotating or locking up. This increases the control the driver has, including being able to steer the car away from an object such as a pole or another vehicle. Early versions had all four wheels controlled by one or two sensors however it’s pretty much standard that each wheel’s brake is controlled independently. TC is an easy one too. Traction Control. Think of the era before TC, when a manual gearbox, grunty engines, and a heavy right foot would combine to perform a “burnout”. This is where the grip or traction of a tyre became less than the intended design resulting in spin and the heat would heat the rubber to a point that the tyre would smoke. Traction Control stops this from happening, whether it’s intentional or unintentional. 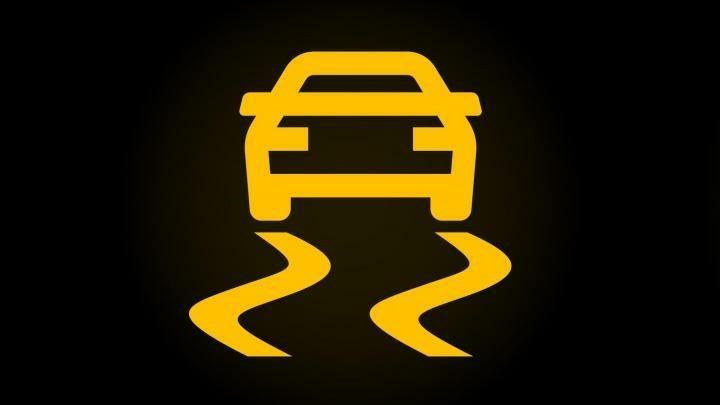 Let’s say in the case of climbing a damp/wet tarmac road and turning a sharp corner at slow speed then accelerating, then that driven tyre loses traction, a computer sensor steps in and reduces power momentarily to reduce the lack of traction. ESP/VSC is Electronic Stability Program or Vehicle Stability Control. It also can be known as DSC (Dynamic Stability Control) or ESC (Electronic Stability Control) In essence, these all stand for the same thing. They combine with Traction Control and the electronic sensors measure wheel rotation speed, the direction of travel of the vehicle, the angle of the vehicle and if a preprogrammed point looks like it’s going to be reached, the stability program will apply brakes to the wheel or wheels deemed needing assistance. This can be done without the driver being aware too. On a wet and greasy road the system may quietly work in the background and help, without drawing attention to itself, the driver not crash. By gently applying braking force the system helps the car stay on a straighter, tighter, driving line. EBD or Electronic Brake Distribution is an automobile brake technology that automatically varies the amount of force applied to each of a vehicle's wheels, based on road conditions, speed, loading, and works hand in hand with the ABS. Finally, there’s BA. Brake Assist means nothing more than applying extra braking pressure if the onboard computers think it’s needed. Generally this comes into play in an emergency stop situation. Acronyms stand for something relevant and in the auto industry are used because they’re a whole lot easier to use. Especially when describing the same thing repeatedly. ATE is one of the world’s largest braking equipment manufacturers and OE supplier to man of Europe’s most prestigious manufacturers. Keep in touch with us via our blogs and active Facebook community and check out the location of your nearest ATE Brake Centre HERE.